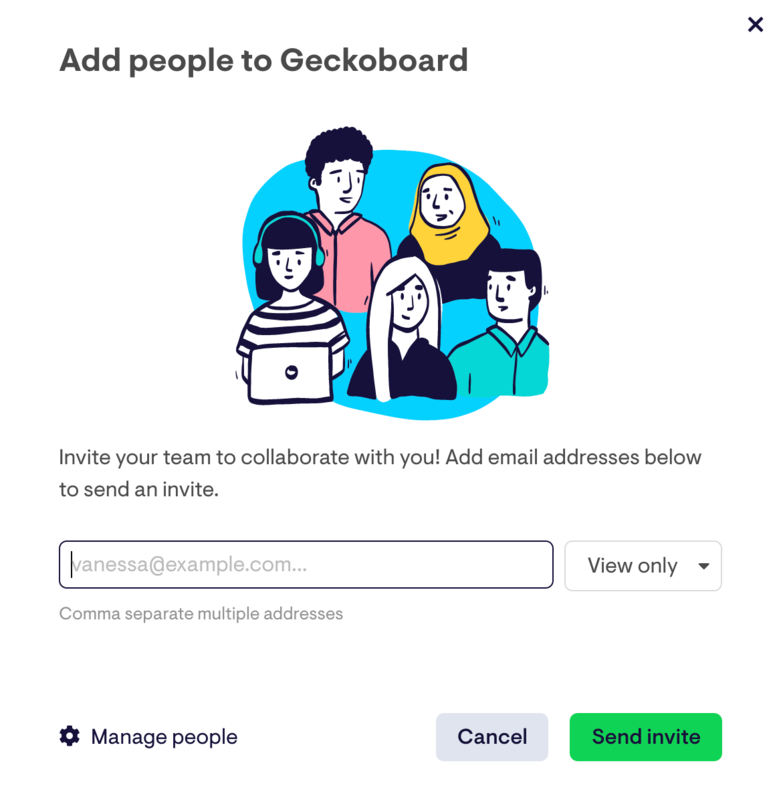 Only Account owners and Organization admins can grant access to a Geckoboard account. Account owner: View, edit, delete all dashboards and manage all users. 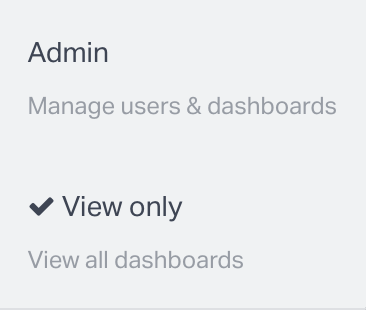 Organization admin: View, edit or delete all dashboards and manage some users. Organization view-only: View all current and future dashboards. Dashboard view-only: Only view dashboards they have been invited to view. Each Geckoboard account has five levels of access available for users. Find out more about these types of users. Click People in the top right area of your screen. In the pop-up modal that appears, input the email address of the person you want to grant access to and hit Enter. For multiple addresses, separate each email with a comma. Choose a user access level for them. Log into your account and navigate to the dashboard you want to share. Click Share, then click Invite. In the email address field, type the email address of the person you want to grant access to. For multiple addresses, separate each email with a comma. Want to share your dashboard without inviting a new user? 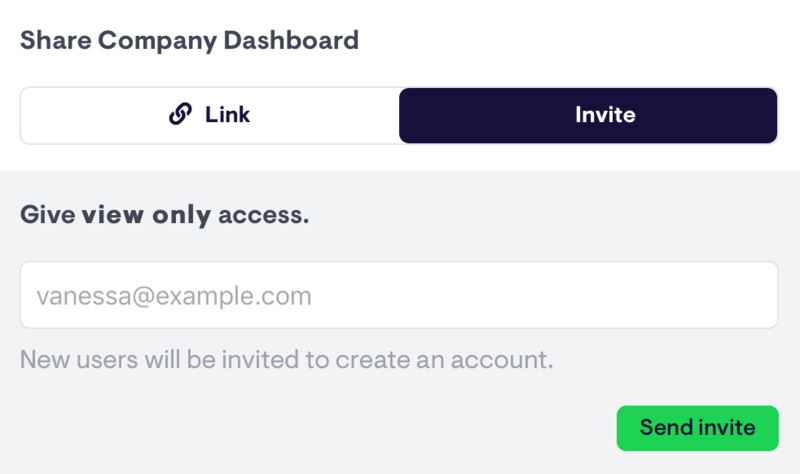 The Share feature allows you to generate a link to an individual dashboard. More details available in this guide.